In 2014, our Library acquired a new friend in Michael Lam. Mr. Lam is a health-remedy advisor, an artist and a writer. 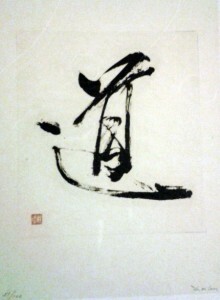 He started writing calligraphy at age 7, and created his own Zen style of calligraphy and painting. Using black and white ink, he writes and paints abstract images on various types of paper. In the spring of 2014 Mr. Lam donated the work below to our Library, which is now held in our Special Collections. Since works on paper are extremely light-sensitive, and we value donations enough not to want to put them at risk, the print will be kept in storage rather than on permanent display. 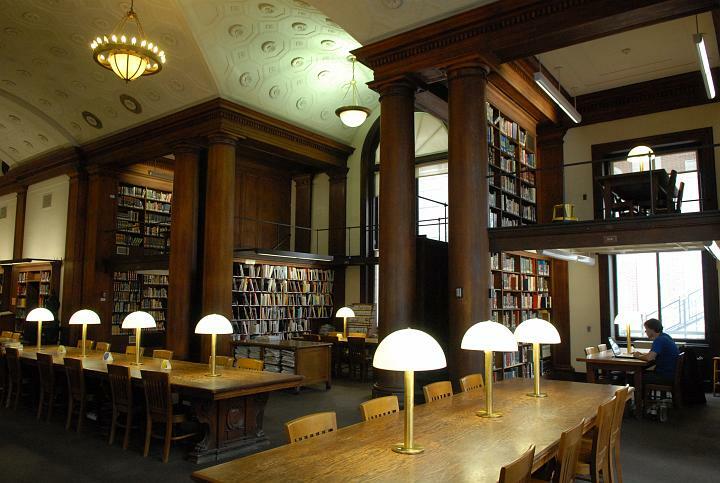 However, anyone wishing to see the work up-close can request to do so during the regularly scheduled hours in our rare book, special collections and archives reading room. We thank Mr. Lam for his generosity in donating this beautiful artwork. An exhibit of works by Mr. Lam is about to start (on January 17) at the Agora Gallery on West 25th Street. This entry was posted in Donations on January 14, 2015 by Ria Koopmans-Debruijn.